Yes, my college provides internship and so may companies came and offers 25000 per year. 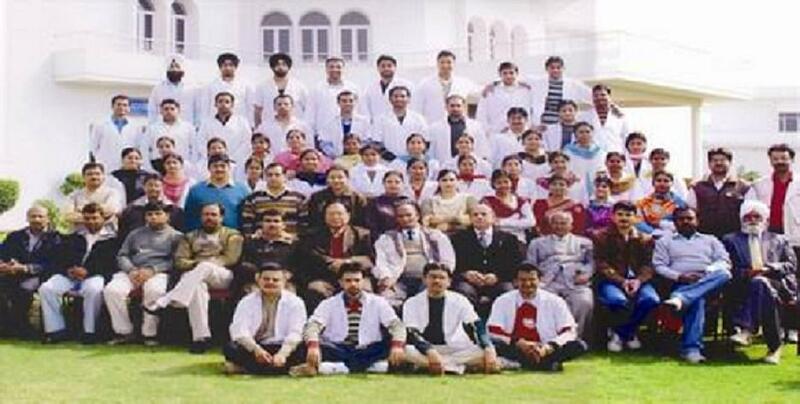 Baba Ke Ayurvedic Medical College (BAMC) was setup to upgrade the system of education in Punjab and to produce highly skilled and productive professionals in the field of medical sciences. BAMC realizes the dreams and ambitions of young professionals with ample learning opportunities and countless practical experiences to accomplish its mission of value based quality education, overall personality development creating lifetime opportunities. The institute is widely recognized in India for their rich sources, status and excellence in education and applies hi-tech methodologies for exploring the integrity in theory & practice to provide unique experiences to enhance potentialities to facilitate global mobility and stand for complete and meaningful education. Guru Ravidas Ayurved University, Hoshiarpur. Village daudhar Easy approach from Ludhiana-Ferozpur National Highway and 18 kms from Moga, Jagraon and nihal singh wala. Result-oriented: - the College has set many glorious milestones in the Academic, Cultural & Sports Field in the last five years and the numbers of distinctions are increasing every passing year. Hi Jagwinder, To get the Admission details please contact to 01636-253088 for BAMS Course in this College. Hi Manpinder, For entrance test and admission details please contact to 01636-253088 for BAMS Course in this College. HI Ravi, To get admission details for the bams you may contact to 01636-253088. Is neet is compulsory to take admission in this college. If no then can you inform that this institute organize any entrance exam. Hi Jyoti, No, NEET is not compulsory for BAMS course.